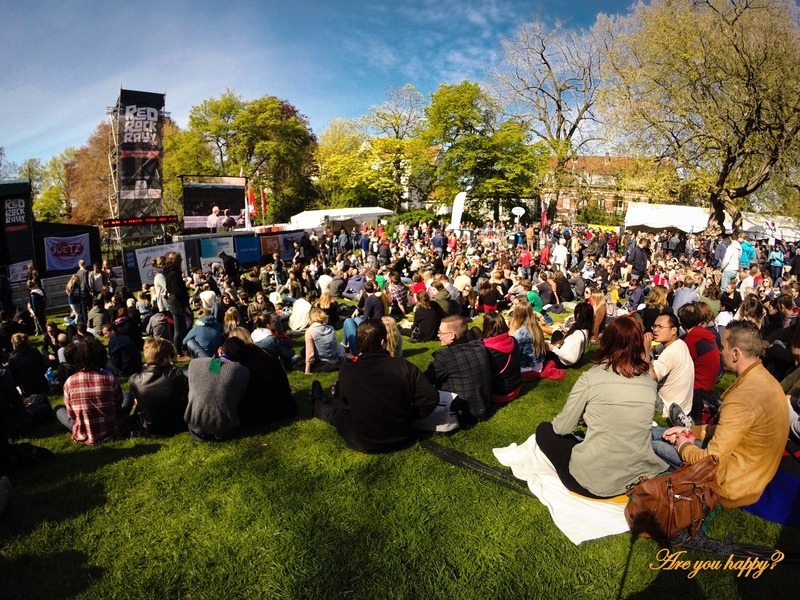 Posted by Are you happy? You are standing on the shore of a canal surrounded by medieval buildings all brown stone and red painted window frames, the May sun is warming you up and it smells like spring, there are yellow flowers in pots around you on walls and wood fences, you can hear the distinct sound of horses on the cobblestone streets around and the engine of the boat getting closer and closer to the shore. Are you ready to board a trip through fairytale land? There’s this magic place in Northwest Belgium with not more than 120k inhabitants which is said to have been founded in the 9th century by the Vikings and is today a UNESCO World Heritage Site with medieval buildings, romantic canals, cobblestone streets, beer, lace and swans. 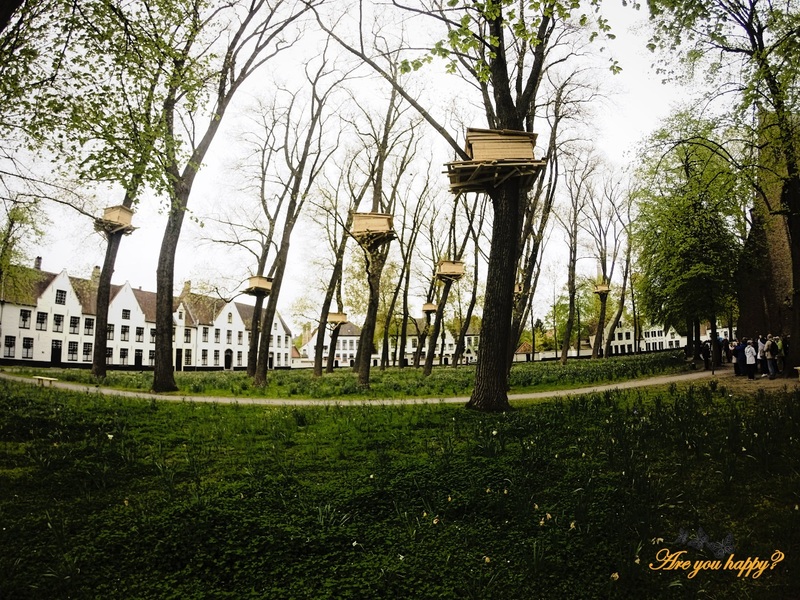 The place is Bruges and the name might very well derive from the old-Scandinavian word “Brygga” which means “harbour, or mooring place”. Curious? 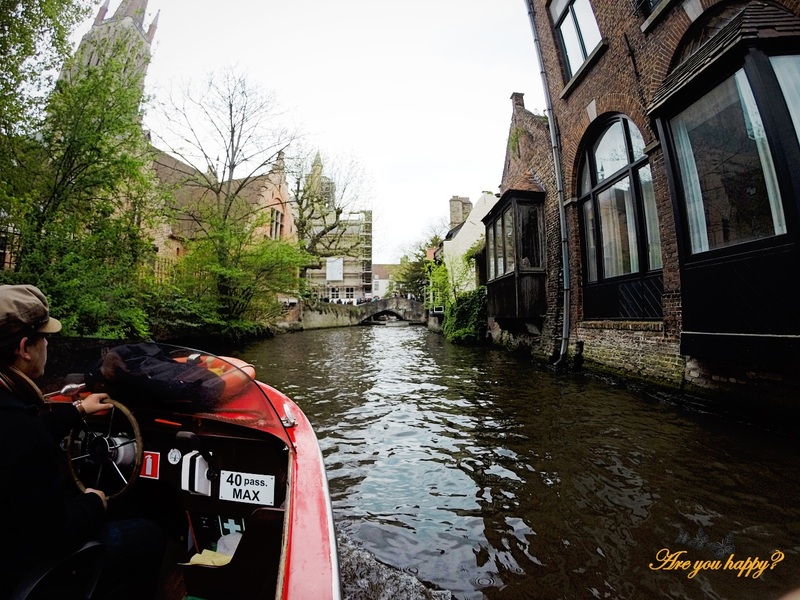 Than just sit down in the boat and let’s get lost In Bruges. Markt and Burg are the most important squares in Bruges. 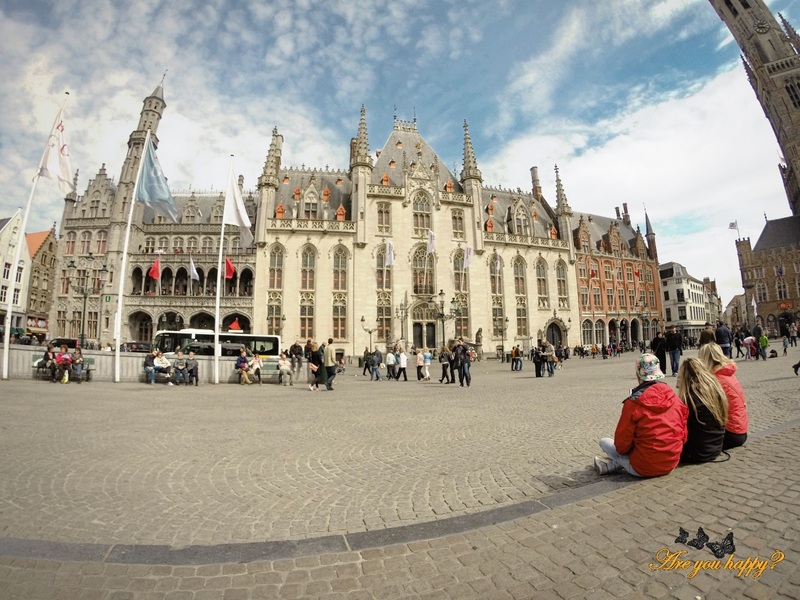 Markt is located in the heart of the city and is a large square surrounded by historical buildings like the Belfry Tower (83 meter high) and Provincial Court and medieval looking houses (many of the houses are just modern reconstructions of the medieval styles). 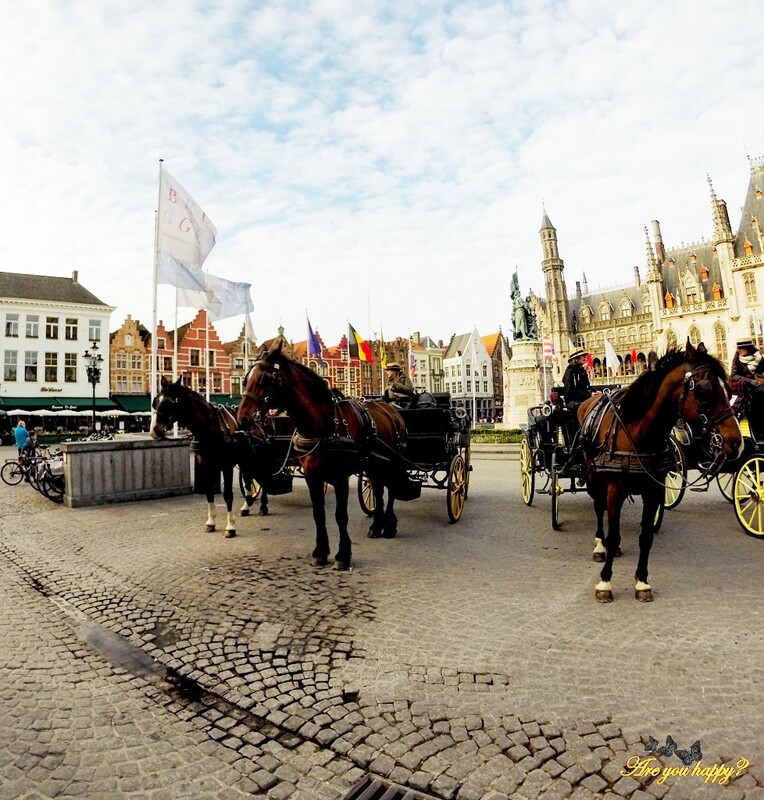 The Markt was freed from traffic in 1996 and is the place where the carriage rides around Bruges also start. If Markt was the commercial heart of medieval Bruges Burg was the administrative heart. The Burg square is the house of the Town Hall (House de Ville) and of the Chapel of the Holy Blood. The last one seems to be the more famous one being the house of the bottle of rock crystal containing Christ’s blood and the place of the yearly Procession of the Holy Blood. 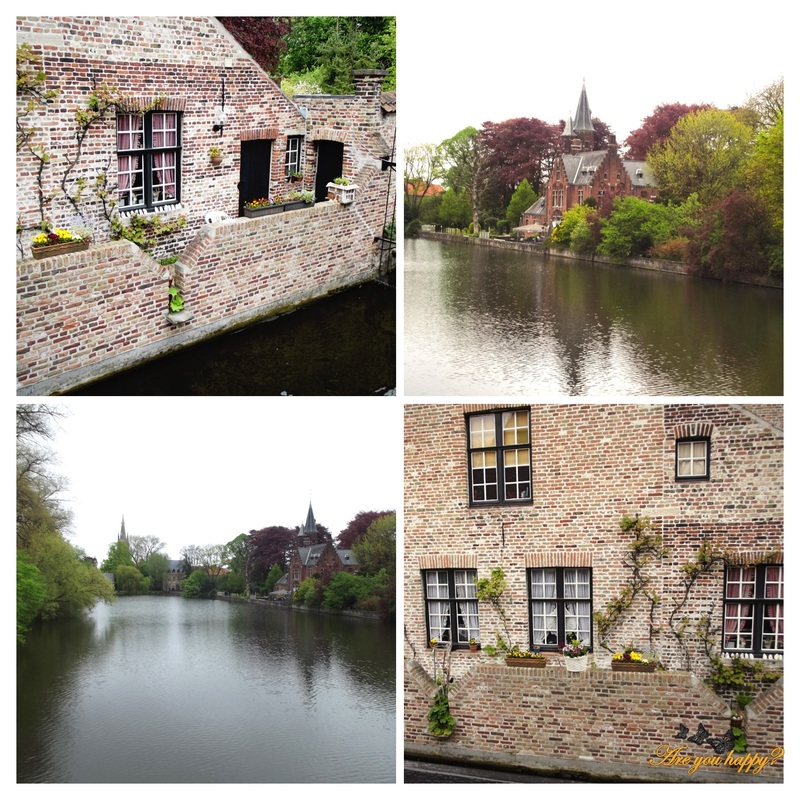 If you are taking a train to Bruges what you will most likely notice first while walking towards the city centre is Minnewater or the lake of love (the Dutch word “Minne” meaning love). Minnewater is a canalized lake with plenty of swans. The legend says that in 1488 the people of Bruges had executed one of the town administrators belonging to the court of Maximilian of Austria called Pieter Lanchals (long neck). Maximilian punished Bruges by obliging the population to keep swans on their lakes and canals till eternity. 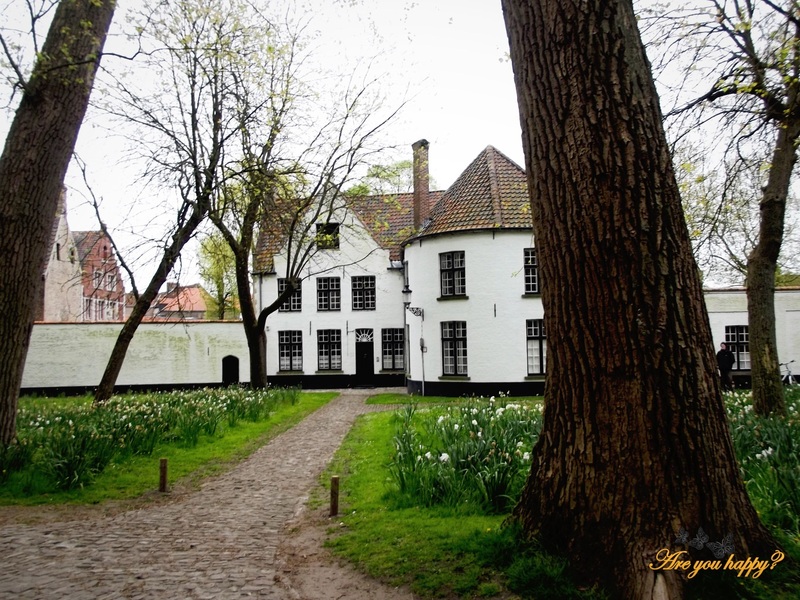 Right there next to Minnewater lies Beguinage De Wijngaard (the Vineyard). A group of houses around a garden with large trees and flowers which became a monastery and the home for the Benedictine sisters since 1937 until today. In the 13th century a mystical form of religion was born as reaction to the growing material and formal aspirations of the regular clergy, one that apostle poverty, simplicity and preaching. 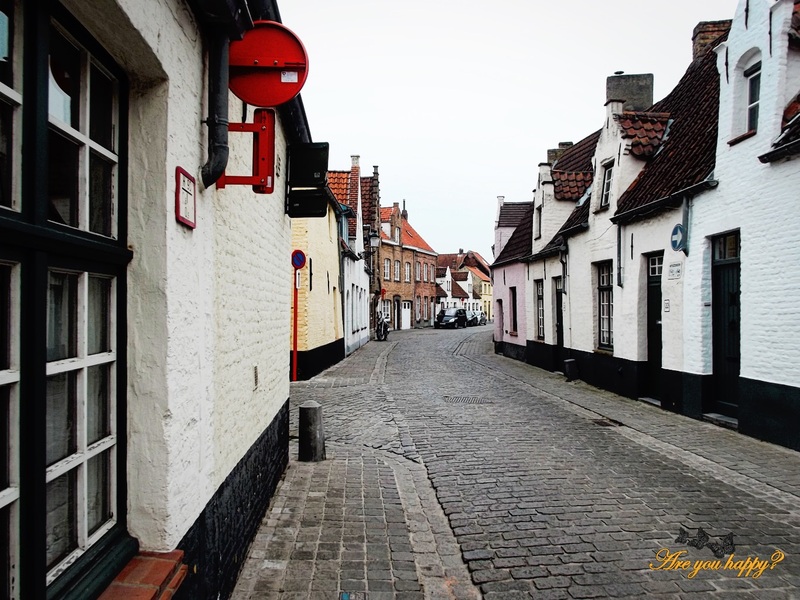 The female followers of such movement were tolerated in the form of the Beguine movement and were allowed to live in separate parts of the cities called Beguinages. The beguines lived like regular nuns but with less stringent vows than the regular ones. Although most of them made the vows of obedience and chastity they did not make the vow of poverty and they could break their vows at any time and leave the beguine community. 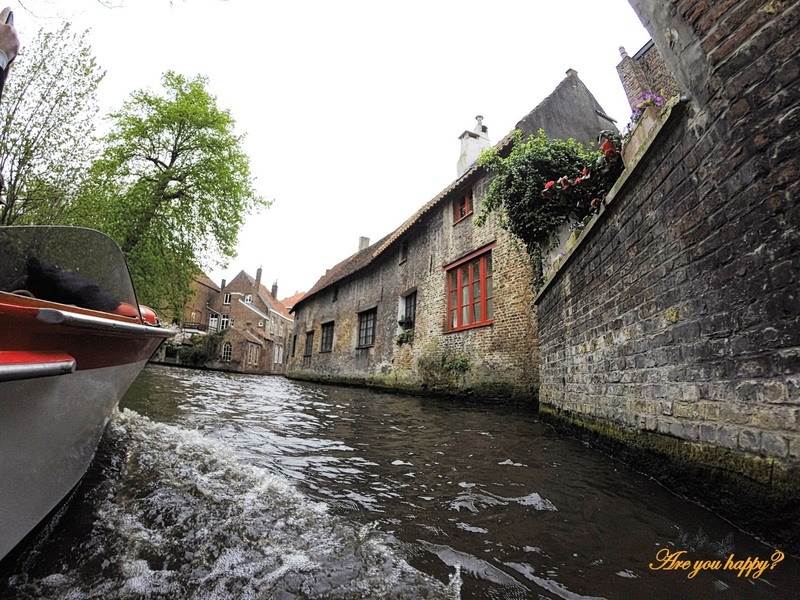 In the Middle Ages, the canals in Bruges were used by ships to deliver goods to the city and to take exports from local merchants. Today the canals are exclusively used for tourist boats. There are five families that are allowed to organize tourist boat rides on the canals with 4 boats for each family. The boat ride takes around 30 minutes and offers a great view of the city, with medieval buildings on the shores, small bridges, nice gardens and swans swimming all around. Central Bruges has a couple of shops where you can rent a bike for an hour or more to wander around the city. If you have more time and you start in the morning you can even take a bicycle and ride to the windmills, the nearby Flemish countryside, the North Sea or even go to the Netherlands. 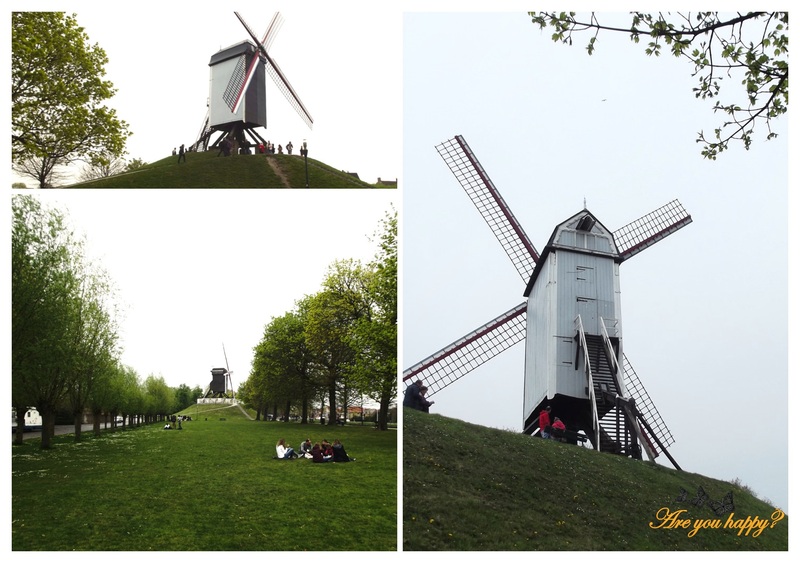 We choose the streets and parks of Bruges and it was all worth it. 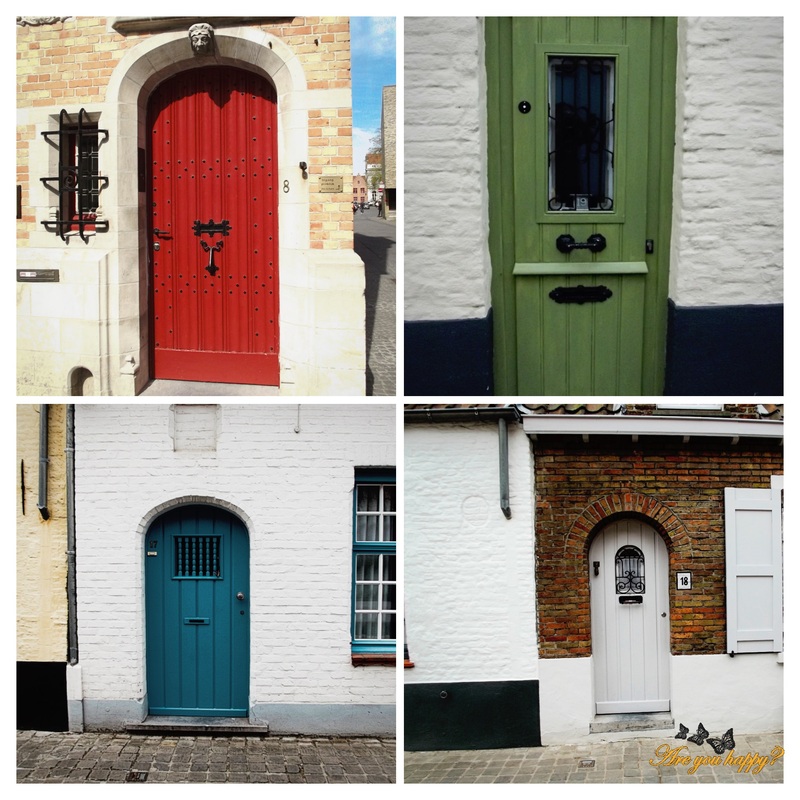 For the trip from Bruges to the Netherlands check out the stories from Avem Diacritice. The streets of Bruges have plenty to offer. 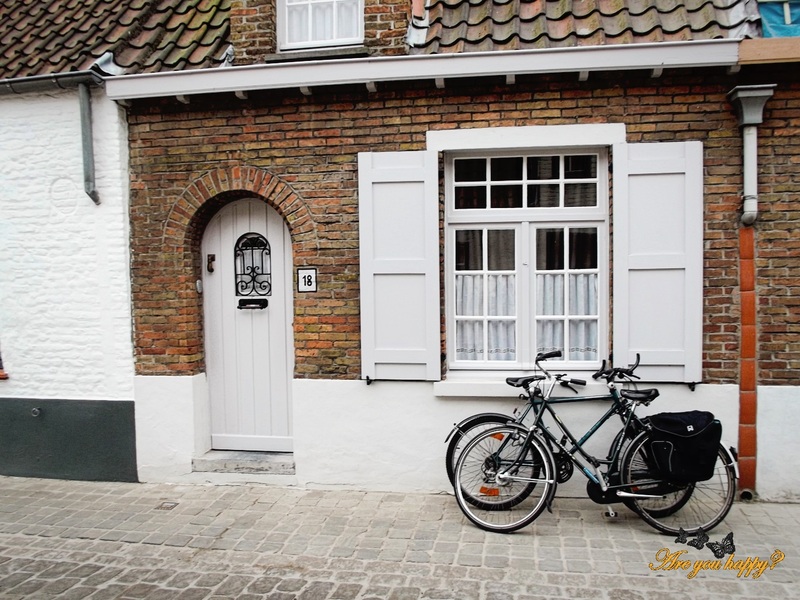 From small hidden streets along canals, to private gardens along the shores, medieval look like houses..
and if you get tired just stop of any of the restaurants or canal side terraces you see on route for waffles, Belgian beer, frites or the local gem – moules. 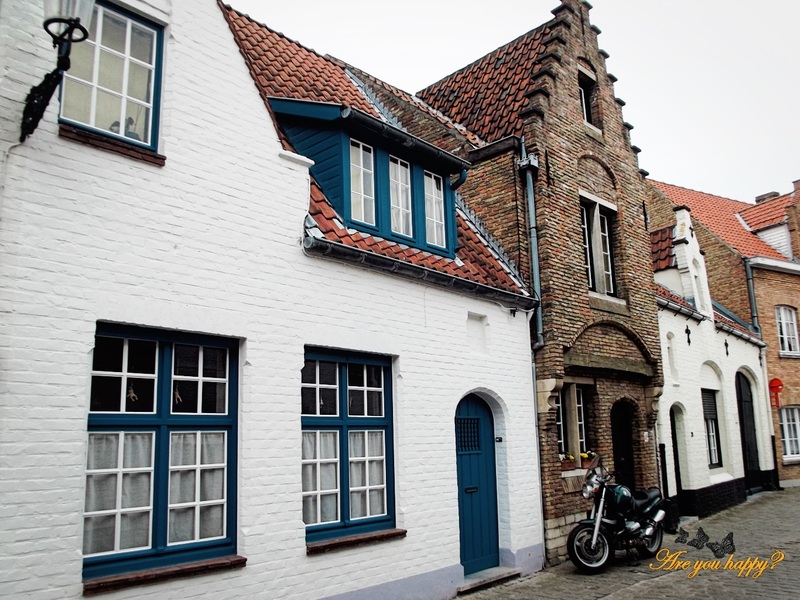 We stayed in Lybeer Hostel Bruges just 10 minutes away from the city centre and easy to reach from the train station. Great private room with private bathroom, good prices and very nice staff. The hostel has also a shared area downstairs with a bar and a piano. What are people in Bruges famous for? The Bobbin Lace, a very expensive type of lace to make, is a speciality of Bruges and is a technique that requires that each thread is wound around a separate wooden bobbins. 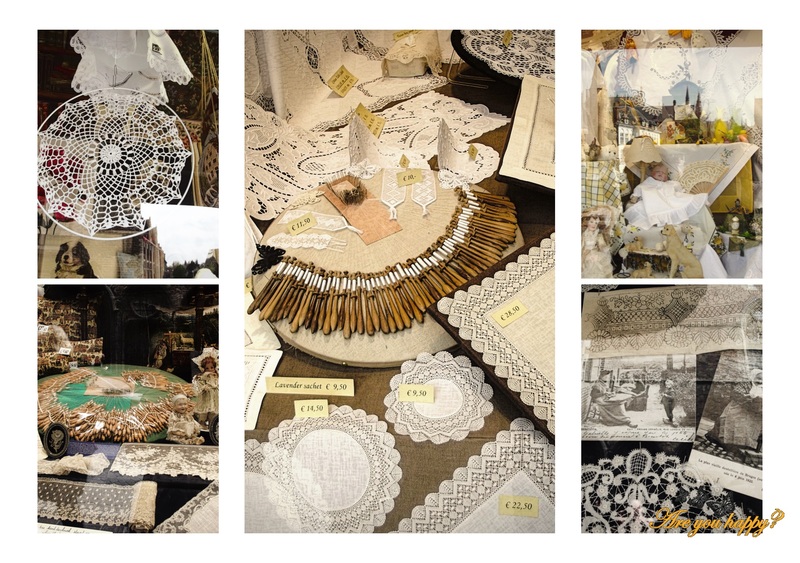 Lacemaking is an industry which nowadays employs in Belgium about one thousand lace works, all of them ladies aged between fifty and ninety years of age. 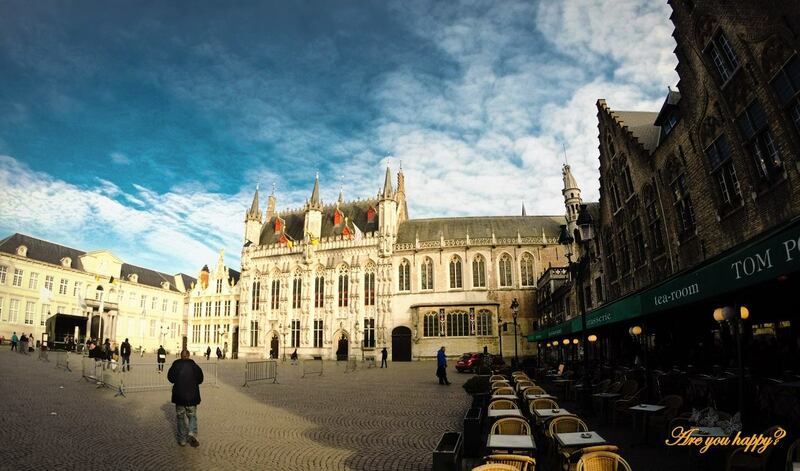 Click here for our Top 10 experiences in Bruges. For more photos from Bruges just click here for our Facebook page. 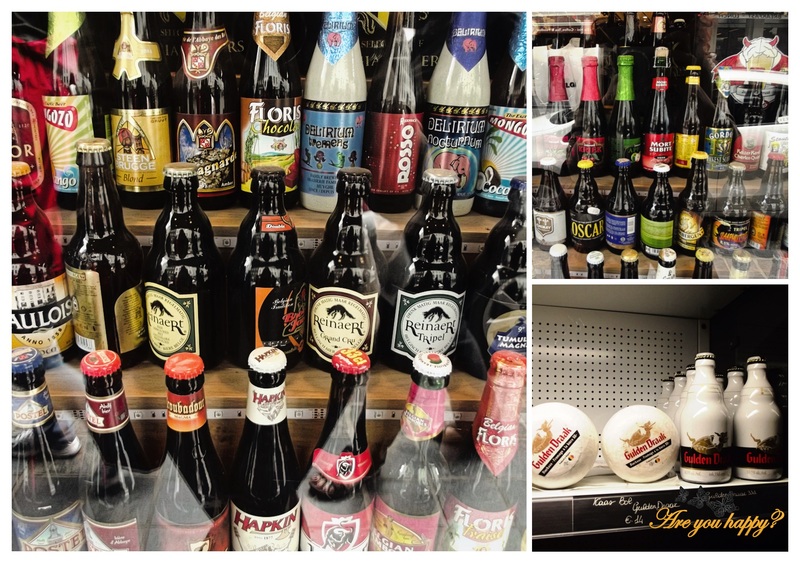 For what to experience in the close neighbouring city of Brussels, waffles, frites and Belgian beer check out our post on What do Manneken Pis, exquisite chocolates, French fries, dark beer and BDs have in common? Enter your email if you would like to wander with us around the world and receive notifications of new posts by email. All rights reserved. 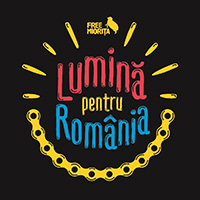 No part of this blog may be reproduced, distributed, or transmitted in any form or by any means, including photocopying, recording, or other electronic or mechanical methods, without the prior written permission of Are you happy?.